Thanks for visiting today to check out today's Wild Card Wednesday for SCRAPTURES. April is a month of a LOT of family birthdays so it's awesome to be able to make some quick and easy birthday cards to add to my stash. 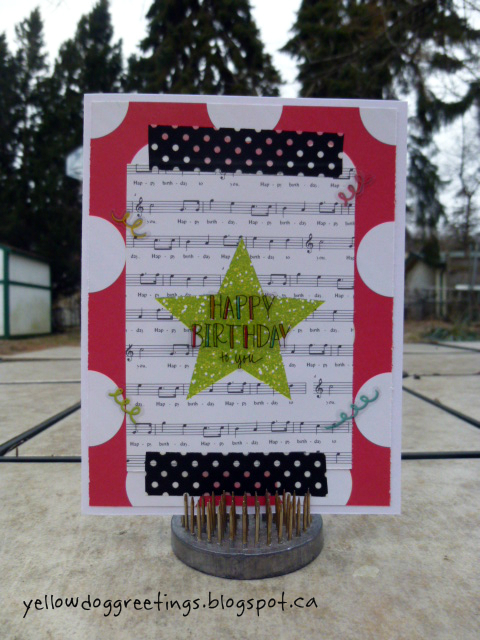 Super card, love the sparkly star and the music paper, is it the happy birthday sheet music? Fab. job.